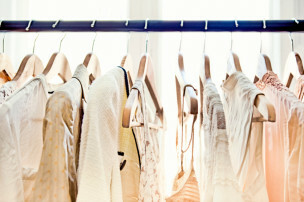 Sales are the life-blood of your women’s fashion apparel business. You know that, but researching, building and verifying a quality list of luxury fashion buyer contacts is a time consuming pain. We know, it’s what we do. The editors at WeConnectFashion have been the go-to source for fashion industry contact lists since 1998. Having a fine-tuned curated list of high-end fashion retail buyers is key. That’s what you will find here. Make retail appointments before market and connect with your buyers throughout the year when open-to-buy dollars are available. It’s all about the list! Verified and compiled by WCF editors. Reach a targeted group of fashion buyers with a quality list of women’s high-end clothing retail buyers. You choose 400 or 900 contact names, $350 or $775. Who are responsible for selecting: women’s apparel. Reach women’s high-end buyers who purchase: activewear, beach and swimwear, bodywear, blouses, bridal, career wear, casual wear, coats, denim, designer collections, dresses, eveningwear, intimate apparel, jackets, jeans, loungewear, knits, sweaters, outerwear, pants and trousers, petites, plus sizes, maternity, raincoats, robes, separates, ski wear, special occasion, sport shirts, sleepwear, sportswear, streetwear, suits, and/or upscale urbanwear. Retailers whose price points include:better-contemporary, bridge and designer. Whose titles are: CEO, Owner, Co-Owner, President, Vice President, Fashion Director, DMM, GMM, Regional Merchandise Manager, Manager, Senior Buyer, Buyer, and/or Assistant Buyer. We do not list CEO or President as a contact on larger store records. Receive a range of retailer types at: specialty department stores, top boutiques, and luxury online retailers in the USA. Description: Womens designer collections, luxury market RTW, ALL Stores. One buying office for all in the Mitchells Family Stores. Men’s buying is done on the West Coast. Women’s is East Coast Mitchells Family Store Locations: -Michells: Westport, CT, Huntington, NY; -Richards: Greenwich, CT; -Wilkes: San Francisco, CA, Palo Alto, CA; -Marios: Seattle, WA, Portland, OR, Tigard, OR. 8 locations. All information in our database is updated every 6 months to guarantee you have the most up-to-date info as possible. Please understand that information can change rapidly and we do our best to catch as much unforeseen movement as we can. Sometimes list mistakes happen, which is why we also put extra contacts on your order just in case. This list carries our guarantee of your total unlimited use for 1 full year. We understand how important it is for you to meet your goals and providing our clients with quality contact lists is our top priority. This list is sent to your email address as an excel file attachment. Some lists may take 3 - 5 business days to verify, others are emailed immediately. An estimated +95% of the contacts listed will have a published email address.